CLICK EMAIL US IN LOWER LEFT CORNER FOR MORE INFORMATION AND ONLINE FORM. Lake Chelan is one of America's Favorite year round Vacation Destinations. 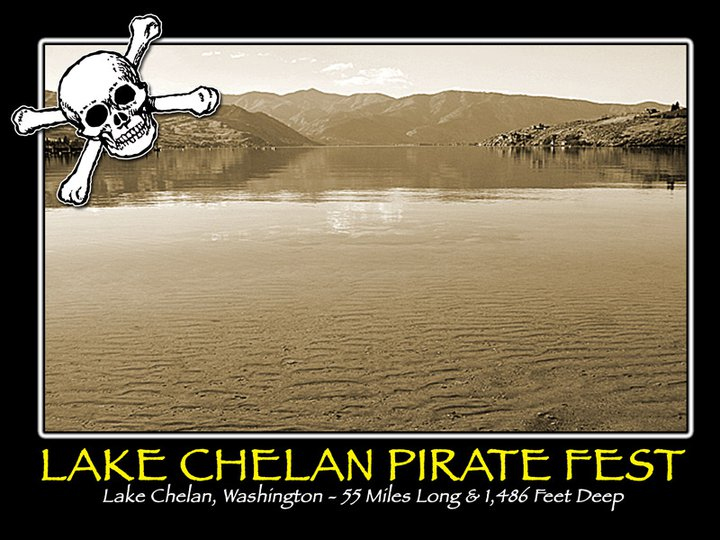 The Lake Chelan Pirate Fest is a new and exciting Family Friendly Community Event that brings back the magic with a story about Pirates, Mermaids and a Lake Dragon. Join the Fun and help showcase Lake Chelan and support this Family Friendly Community Event. Proceeds from the Lake Chelan Pirate Fest REINDEER DAY & LAKE CHELAN SANTA COMMUNITY EVENTSand Student & Youth Programs in Lake Chelan.